On December 7, 2015, Rogue Spruce Tip IPA will be tapped at Yard House Restaurants across the country to celebrate its 19th anniversary. 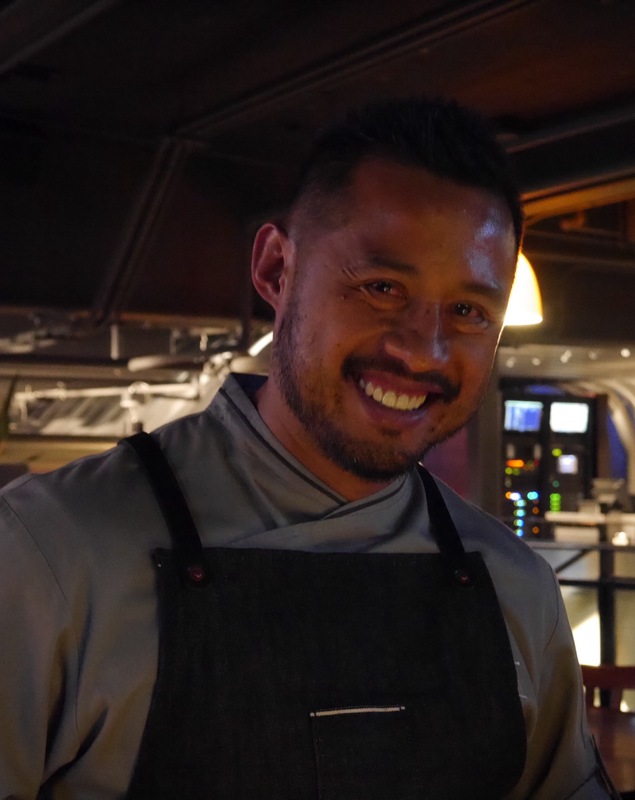 John Maier brewed this Rogue special release in collaboration with Yard House executive chef Carlito Jocson and beverage manager Gregory Howard. Rogue and Yard House may seem like an unlikely partnership, but they have enjoyed a longstanding relationship through the years. Dead Guy Ale appeared on the first tap list at the original Yard House location in Long Beach, California, and In the past 19 years, at least one tap handle has been dedicated to serving Rogue beers. Spruce Tip IPA was brewed with spruce tips flown in from Alaska (they were out of season in Oregon), which are very noticeable in the aroma of this IPA. Coming in at a 7.85% ABV, the IPA did not feel like a big beer as the citrus and caramel malt flavor made for a very smooth drinking IPA. 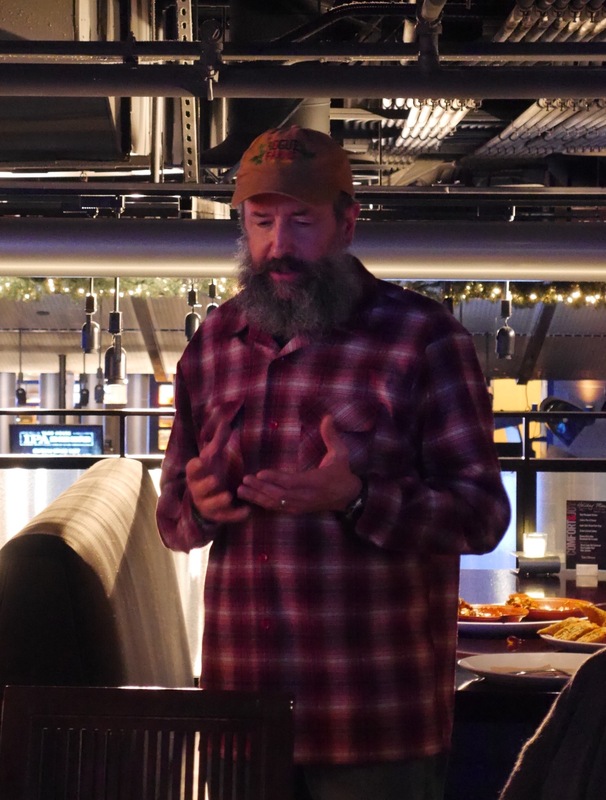 Rogue brewmaster John Maier stated, “Using a revolutionary ingredient like spruce tips not only results in a unique ale worthy of celebration, but the needles are also symbolic of our partnership with Yard House: evergreen. I can’t wait for their guests to enjoy it.” Additionally, some Spruce Tip IPA is currently being aged in Chehalem Winery pinot noir barrels for a round two of the beer to be released in the future. While creating the holiday menu at Yard House, executive chef Carlito Jocson, ensured the seasonal food would pair well with Spruce Tip IPA. 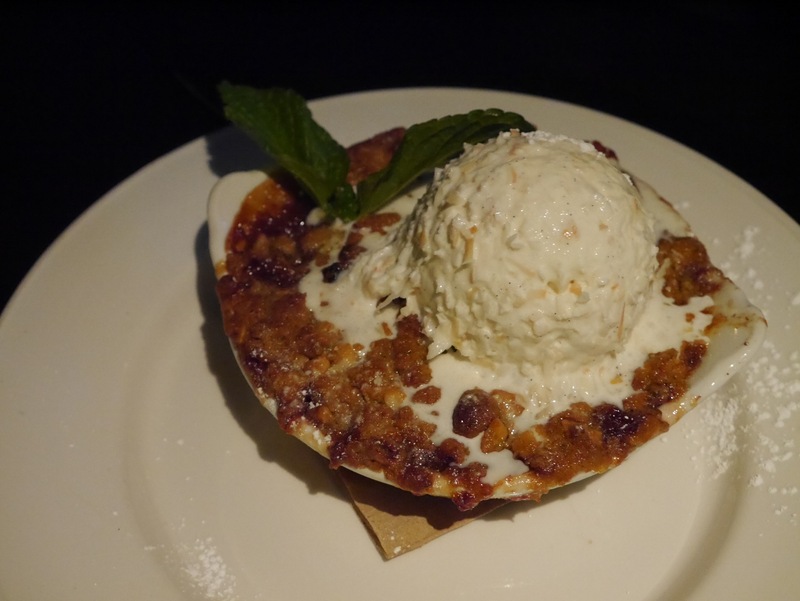 The holiday menu is available through mid January and has entrees such as: Maui Pineapple Chicken, Lobster Mac n Cheese, Apple Cider Brined Pork Chop and Za’atar Crusted Salmon. 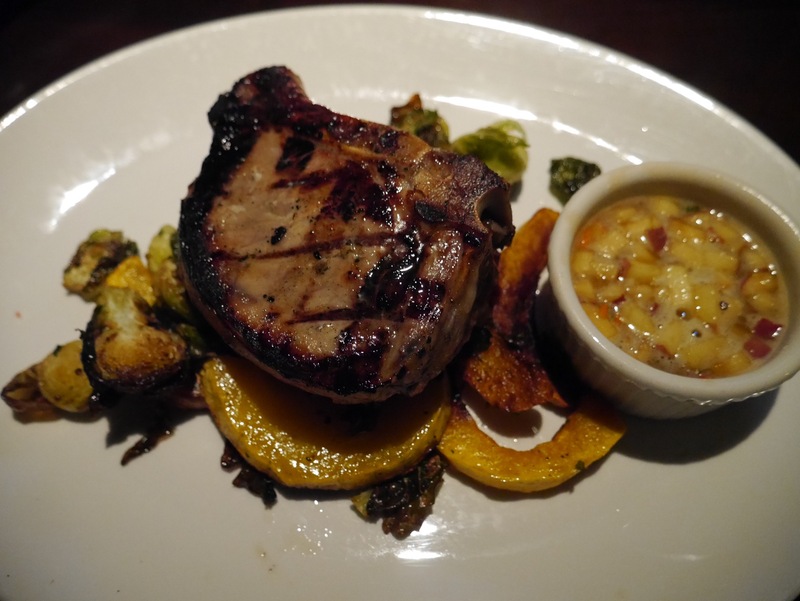 Yes, the pork chop and applesauce meal was inspired by the memorable Brady Bunch episode. I dare you to order that meal and not have Peter Brady’s voice saying “ pork chops and applesauce,” running through your head for days afterwards (as was my experience). Expect each of the 61 Yard House locations to receive a limited quantity of Spruce Tip IPA, as part of its Chalkboard Series (seasonal/small batch), with some locations also receiving the beer in bottles. 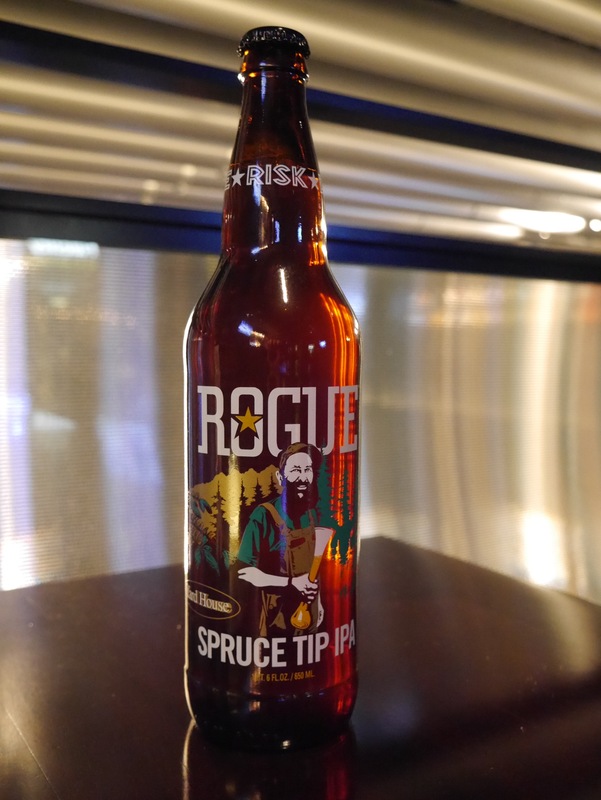 Rogue Spruce Tip IPA is expected to be on tap through mid January. A native of the Rose City, her love of craft beer and more especially whiskeys keeps her searching for her next favorite drink. She is also an inspiring photographer and her work is seen here on the pages of Brewpublic.